Zoie used an assignment in science class as an opportunity to share Jesus with her best friend. A few weeks later at her friend Sadie’s house, in an attempt to change their perspective, they began to talk about how they could make a difference. Zoie had recently learned about a nonprofit organization called GrassRoots. She and her friend decided they would make cards of encouragement for men and women who appeared to need a helping hand. They included the number for the GrassRoots organization where they could get assistance. Zoie and Sadie began to hand out the cards and learned that it felt really great to offer a kind word and some hope to the homeless. Zoie had been encouraging Sadie to come to church with her but Sadie did not seem interested. Zoie shared with Sadie that The Church at Severn Run was always doing projects like their new endeavor to hand out the cards to the homeless. It was this new knowledge that interested Sadie in coming to church for the first time. Sadie has attended church with Zoie on several occasions now. Most recently, she came to the Easter service. 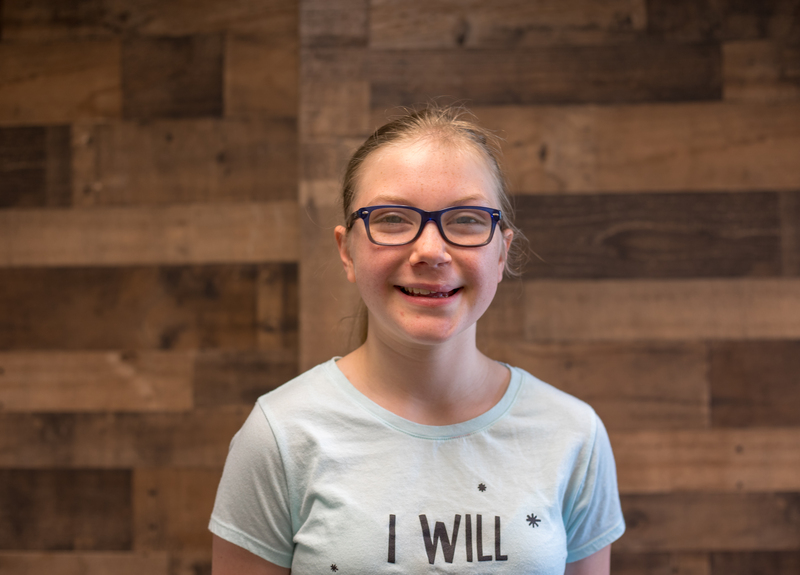 Zoie was able to use the opportunity of serving others as an avenue to introduce Jesus to her friend. What started for Zoie, as a situation attempting to hide Jesus from the conversation in science class, evolved (pun intended) into an opportunity for her to share Jesus with her best friend.